Beautiful Lake View Home. Great for Entertaining! Awesome Home with Open Living Space with Upgrades Throughout. View the Property Details, More Photos, Map & Schoolinformation here at the updated Property Website! Awesome open living space with nice finishes & upgrades throughout. Beamed great room open to the kitchen. Stone wall with fireplace & built-in shelves inset. Huge granite island with eating bar overlooks the living room. Granite & hardwood floors. Spacious bayed dining area. Split bedroom plan with nice master suite with walk-in closet, pocket door to the master bath with jetted tub, separate shower & two sinks. View out lower level has wet bar and 2nd stone fireplace with full finish and adequate storage space. Covered deck overlooks the yard that backs to a tree row. Sprinkler system & irrigation well. Front of the home looks out to the area lake. 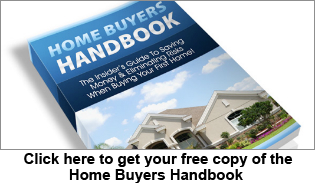 « If You Were Selling Today, Would You Have the Home That Buyers Want?